Innovative ideas for teaching a successful music visuals fundamentals program. Join experienced teacher, judge, and clinician Jeff Young as he and his staff guide you through a system of teaching visual fundamentals that has earned acclaim and success at both the state and national levels. 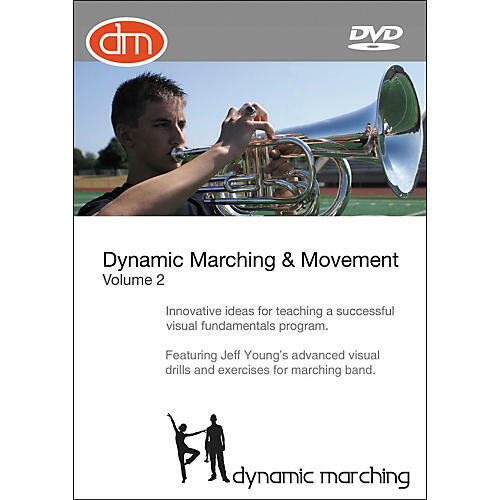 This DVD will provide you with a clear and proven method for teaching basic and advance drills and exercises for marching band visual fundamentals. Building upon techniques taught in volume one, volume two continues to focus upon innovative warm-up, stretch, as well as dance techniques. Chapters include: Full Stretch and Body Warm-up Routine, Block Drills, Across-the-Floor Drills, and Advanced Specialty Drills. You'll soon be using Jeff Young's proven strategies for advanced visual drills for marching bands when you order today.